2 Bedroom, 1 Sofa Sleeper, 1 Bath, Washer And Dryer. One Block From The Beach! Flat screen's in each bedroom and living area. Less than a mile away at The Bridges. Great location and excellent accommodations. This apartment is great for a fun weekend! 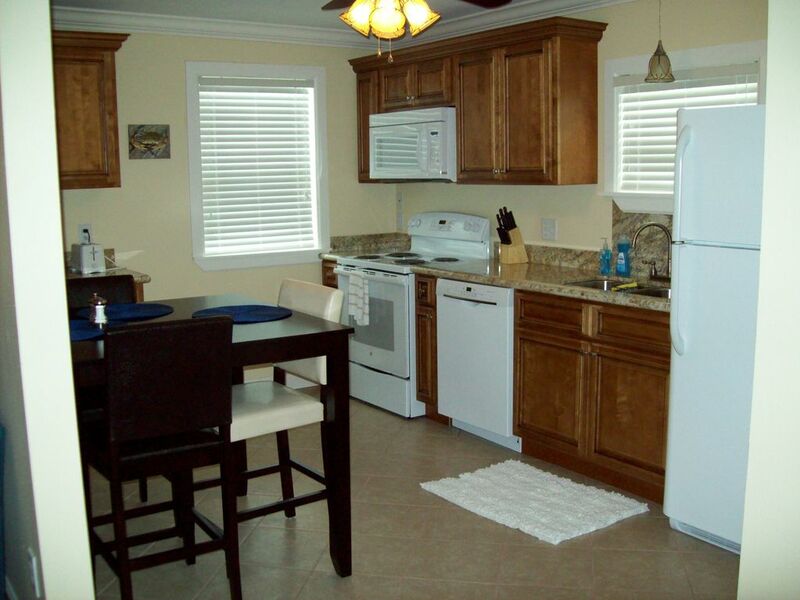 It's location is excellent and is in walking distance to all the night life. A bonus is - It has awesome pizza! The bar downstairs is friendly and fun but once upstairs it's very quiet. I would highly recommend this property!! Keith the owner, works in the bar downstairs from the apartment, was very nice and accommodating in every way. Location is great for walking to Old Towne and restaurants etc. Much we have booked it again and are looking forward to the next visit Don't let the location over a commercial business fool you. The unit is well insulated and noise was not a problem. Close to beach, shops, cafe's and bars. In early October enjoy Cruisin the Coast with downtown activities. Ride a bike around town. Enjoy the many festivals throughout the year.